Are you ready to -make a dent in the universe-? As a creative, you no longer have to take a backseat. In fact, stepping up and embracing entrepreneurship is the fastest route to impact. But where do you start? And what sets the businesses that succeed apart? To find out, we asked the bright minds behind companies like Google X, Warby Parker, Facebook, O'Reilly Media, and more to share their startup wisdom. 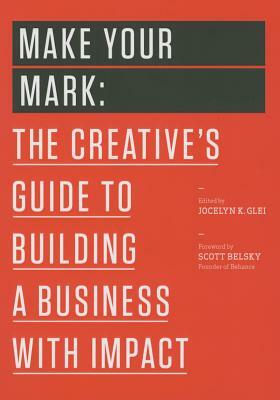 Featuring hard-won wisdom from 20 leading entrepreneurs and designers, 99U's Make Your Mark will arm you with practical insights for launching a purpose-driven business, refining your product, delighting your customers, inspiring your team--and ultimately--making something that matters.